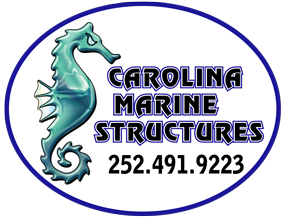 Stormwater Outfall Extensions, Willoughby and Vicinity – Carolina Marine Structures, Inc. The Work under this project consists of replacement to and extension of six (6) stormwater outfalls into the Chesapeake Bay along the Willoughby and Ocean View shoreline. The structures are pile supported ductile iron pipe with saddles.